The twisted tale of Caleb, and his alter ego Lester. After being pushed around too far, Caleb transforms into Lester and returns to those who have wronged him. They don't make them like this anymore. This over-the-top tale of a dorky gardener and his suave studly "twin brother" is one of the funniest horror movies of the 70s. It's goofy and tasteless, and not quite so inept that you ever think the humor is completely unintentional. It's enlivened by buckets of red paint that look nothing like blood and the sheer hilarity of seeing this ridiculous guy act like a ladies' man. 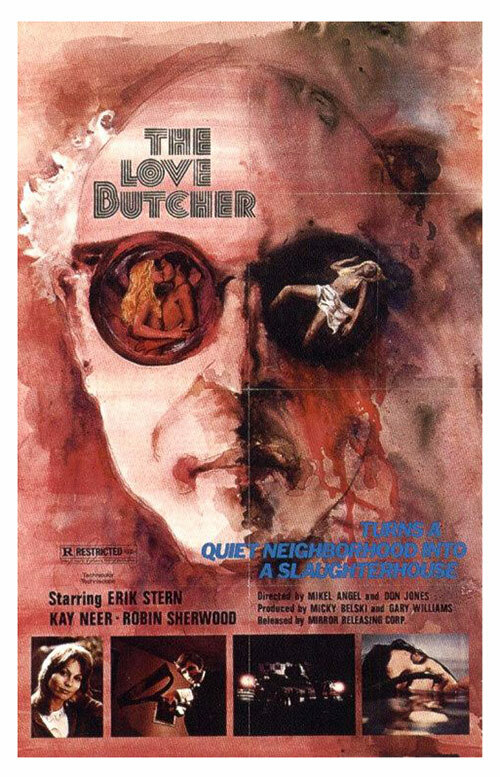 0 Response to "The Love Butcher (1975) Don Jones & Mikel Angel"